PT (protesis total) - Venezuela. Mark the missing teeth with a "X". 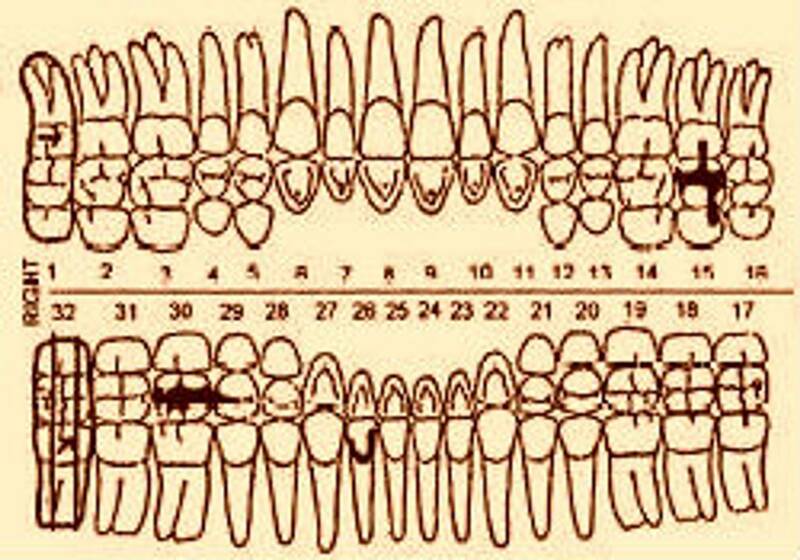 Place a horizontal line between the outline of the teeth and the numerals designating teeth replaced by the CD.